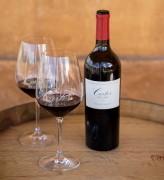 "Coming from red volcanic soils located just above Backus Vineyard in Oakville, the 2015 Cabernet Sauvignon Weitz Vineyard is undeniably mountain fruit and has a fresh, focused, chiseled style as well as incredible complexity in its black and blue fruits, incense, Asian spice, graphite, and ample crushed rock-like minerality. This beautifully complete, impeccably balanced beauty needs 3-4 years of bottle age yet will keep for 2-3 decades." 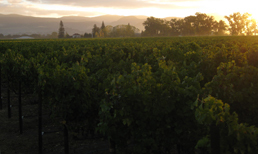 Long considered one of the gems in Turnbull’s Vineyard portfolio, the Weitz Vineyard sits on 62 glorious acres high on the Oakville Bench above some of the most famous vineyards in the world. Characterized by fractured volcanic rocks and degraded boulders, the scarcity of soil forces the vines to struggle and naturally controls fruit production. The fruit itself is renowned for its profound structure, elegant rich texture and lingering acidity and minerality. We are proud to join such notable wineries like the Maybach Family to source fruit out of this remarkable vineyard. 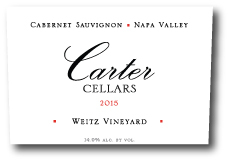 The Carter Cellars 2015 Weitz ' Cabernet has sold out, but other Carter wines are available.